Two of the nation’s coolest indie-rock outlets originate right here in Chicago. Both “JBTV” and CHIRP radio are staffed by volunteers who are more passionate about music than money. And both have launched 24-hour Internet stations. The 25-year-old, all-volunteer “JBTV” will expand into a 24-hour, multi-genre online TV channel this month (at www.jbtvonline.com). 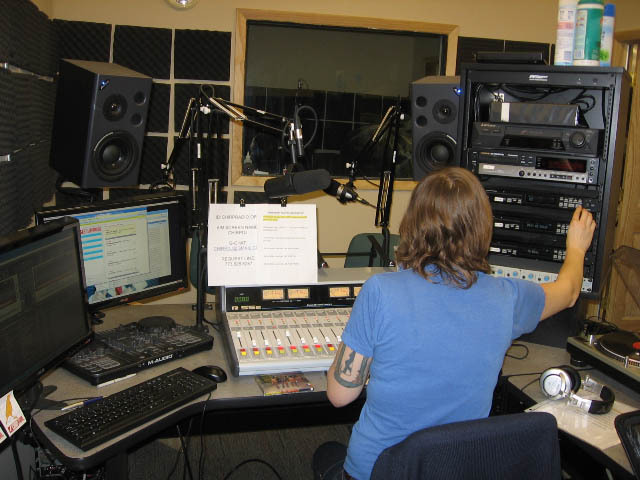 And January saw the launch of the community-based Chicago Independent Radio Project, a state-of-the-art online radio station (Chirpradio.org) that one day plans to go terrestrial. Program director Shawn Campbell, formerly of Loyola’s WLUW-FM (88.7) decided to form CHIRP in July 2007, “When it became apparent that there wasn’t going to be a station in Chicago that was 100-percent welcoming to community volunteers,” she says. She invited a dozen like-minded people to meet a local pub, and that became the CHIRP’s board of directors. Now, CHIRP has 150 volunteers, including some 60 DJs who must play at least five new tracks and two local songs per hour. Local music is a crucial part of the station’s identity, and bands are invited to send tracks to music director Billy Kalb. “We think that a really crucial part of what local radio does — and we consider ourselves a local station even though we’re on the Web — is to showcase local bands,” says Campbell. There are also plans for live performances at the station and at local recording studios — as well as news shows. But all of that costs money. And, because the station is Web-only, license fees are paid per song, per listener. So the more popular it gets, the more the costs will rise. “We’ve been really fortunate with fundraising,” says Campbell, referring to the station’s record fairs, benefit shows, and grant awards. But their biggest source of income is individual donations. Campbell is “cautiously optimistic” that CHIRP will eventually launch a Low Power FM (LPFM) version of the station; the House Of Representatives passed a LPFM bill that would reduce the number of clicks required between stations, and give the FCC jurisdiction over further changes. The bill has bipartisan support and could pass the Senate later this year. Still, it would be at least two years before a LPFM station could obtain an FCC waiver and launch a station on Chicago’s congested airwaves. “People ask, ‘Why bother? Nobody listens to radio anymore,'” says Campbell. “There couldn’t be a stronger message that people are looking for something more. It’s been so gratifying to see the comments coming from the public about how excited they are about the station. Bryant now oversees an 18-person team that will launch the 24-hour online network. The station will feature interviews, live performances, videos, and vintage gems from the “JBTV” archives as well as shows from other music genres. The main host will be former Q101 DJ Ryan Manno; Jenna Martinelli covering the local scene; MC/poet Jeff Baraka on the urban beat; and a punk show hosted by Lawrence Arms frontman Brendan Kelly and Red Scare Records owner Toby Jeg. “We want to bring music programming back to TV, because there’s a serious lack of it now,” says new general manager Christian Piccolini, adding that the webcast will feature six hours of new programming each day. “There are a lot of people on TV who do shows reading from a script that a writer produces,” he continues. “Everyone here will have a lot to do with their own segments,” and the genre hosts will have free reign to choose the music they play. They’ll also make use of Bryant’s state-of-the-art performance studio. Bryant will continue do his regular show, which airs Wednesdays at 9 p.m., Thursdays at 8 p.m., and Sundays at midnight on Chicago Cable Channel 25, and Wednesdays at midnight on WYJS-Channel 62. “This year is the start of a new decade, which is a perfect time to do this,” says Bryant. “There’s a whole new way of thinking, with the handheld devices, portable phones, iPods — there are tons of new opportunities for new media. I find it ridiculous that internet broadcasters are hamstrung with a cumbersome royalty payment structure which is not imposed on any other broadcast medium. It is clear that this structure is designed to make it prohibitively expensive to launch an internet station that plays recorded music. This is contradictory to the democratic nature of the internet, and is yet another obvious result of a government that is a wholly owned subsidiary of the corporations. The found fathers must be spinning in their graves.